HomeBlogHomepage PostBasketball Season is Underway! As FSMA grows, so does the variety of experiences we are able to offer our students. This year, we have five basketball teams. Our beginner group is for children eight and under (8U) and is offered for boys and girls. 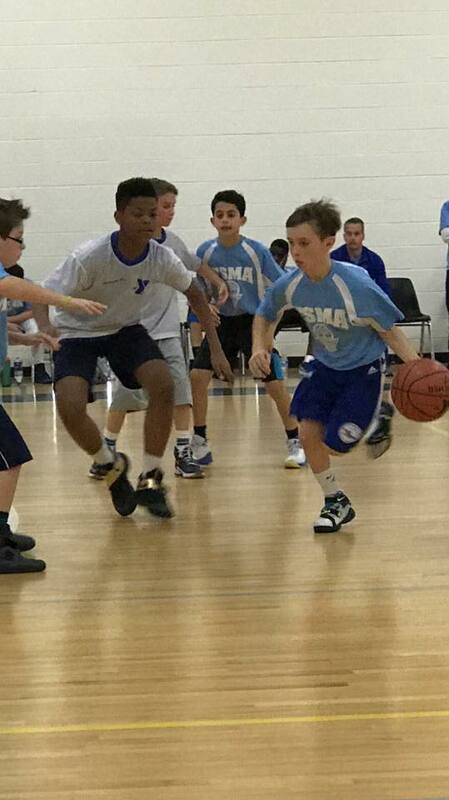 We also have a 10U and 12 U team for boys. Many people ask why we limit the teams at this level to just boys… This is not an FSMA decision but rather the regulations of the league we are a part of. Our goal is to provide as many equal opportunities as possible and will continue to seek more opportunities in order to make this possible. At the Middle School level, we have a JV team. While it is currently an all boys team, according to DIAA regulations, girls may try out and this year we did have this happen! Our goal is to continue building the sports teams we can offer as we have leagues, coaches, and students who want to participate. Stay tuned to hear about what opportunities we will be adding next year! And, if you want to come and check out our basketball teams in action, club schedules are available here and JV schedules are available here.